Invite a friend to share in the fun. Class will be held at my house. There will be no refunds if you cannot attend. You will still receive all materials. Happy Easter and Spring Everyone! I am a bit under the weather today so I made something bright to cheer me up. I took a fabulous Brayering class with Michelle Zindorf and now I am finally putting the techniques to paper. (right after I came home from the class, I laid out all the cards I had made for everyone to see....and then "Nani-NO!" (the cat that shall remain infamous forever) got on the table and promptly thew up on half of them:( Hopefully, that was not a comment on my cards. This one is now in a clear envelope and I am going to make some more after I kick Nani out of my studio. I will be teaching a class "Everything Feminine" using these sets to celebrate Stampin' Up! 's sale of some "Two-Step Stamping" sets. In celebration of Easter and Spring, here is field of flowers ready to be picked. Stampin' UP! is featuring this set along with 3 others for sale just until the end of this month. You may place your order on any order type (customer, demonstrator, workshop, or online). There are no limits, and there is no minimum purchase to qualify for the 20 percent off. Email me with questions or go directly to my website to place your order. Two-Step into spring with a sneak peek from the 2010-2011 Idea Book & Catalog! Stampin' Up! 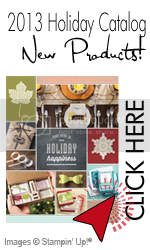 's Two-Step Stampin' sets allow you to quickly and easily take your creativity to the next level. And now, from April 1-30 only, you can purchase the brand-new Awash with Flowers Two-Step Stampin' set--or get it FREE when you host a $350 workshop! I am so excited about Spring! Our NC winter was a long one and we have been ready for any life that Spring brings. Flowers are starting to bloom and I can't wait to get into the garden to plant Pansies. I was inspired by a technique Mary Jo Price-Williams showed on how to make watercolored pansies and decided that this would be a perfect flower to make for an upcoming "All Things Feminine" class. I used my favorite Cottage Wall DP from SU and Rich Razzleberry for my main color in the flowers. The FREE Sale a Bration set, Whimsical Words was used for the sentiment. What a fun technique! You will love watching how each flower evolves. If you are interested in taking this class, please email me days and times that will work the best and I will do my best to fit it in. Don't forget that these are the last couple of days to place your Sale a Bration orders. For every $50.00 that you spend, you can receive a stampset, paper, or punch from the SAB brochure FREE. Go to my website to place your online orders or you can email them to me.